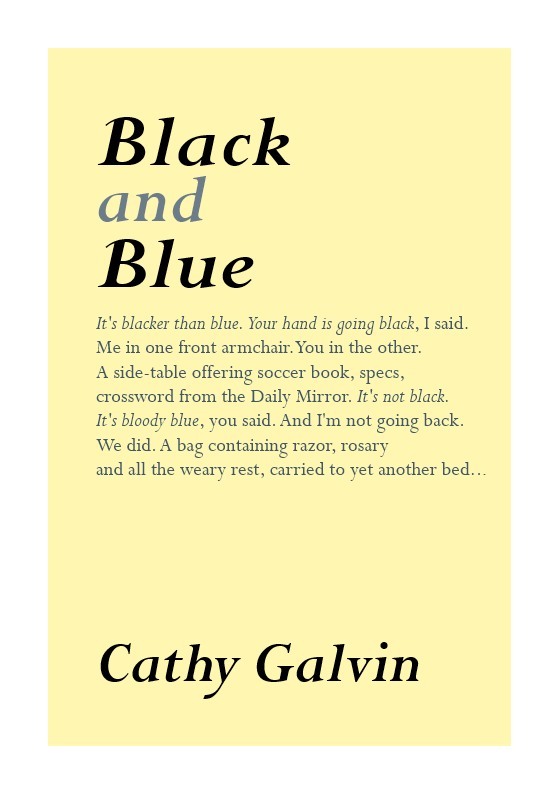 We first published Cathy Galvin's collection in 2014. The first edition sold out rapidly and we are now publishing a new and revised edition. David Morley: Cathy Galvin's sequence moves brilliantly...with drama, immediacy and power. David Almond: ...wonderful. So beautiful and moving: family, grief, childhood, angels, birds...The impulse to make sense of our heritage and our childhoods, to turn our family stories into things of beauty. 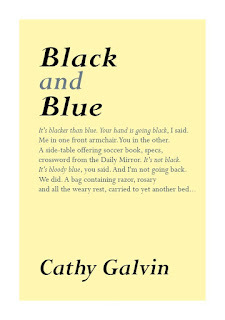 Black and Blue is a gorgeous, sacramental thing. All three collections can now be ordered, post free, using the top button opposite.